CONCORDIA is a major H2020 consortium to interconnect Europe’s Cybersecurity capabilities. It will establish a pilot for a Cybersecurity Competence Network and will lead the development of a common Cybersecurity Research & Innovation Roadmap for Europe. The partners of this project are also members of the Laboratory for Data Technologies, Institute of Informatics, Faculty of Electrical Engineering and Computer Science from University of Maribor. Slovenian coordinator of this project is prof. dr. Tatjana Welzer. 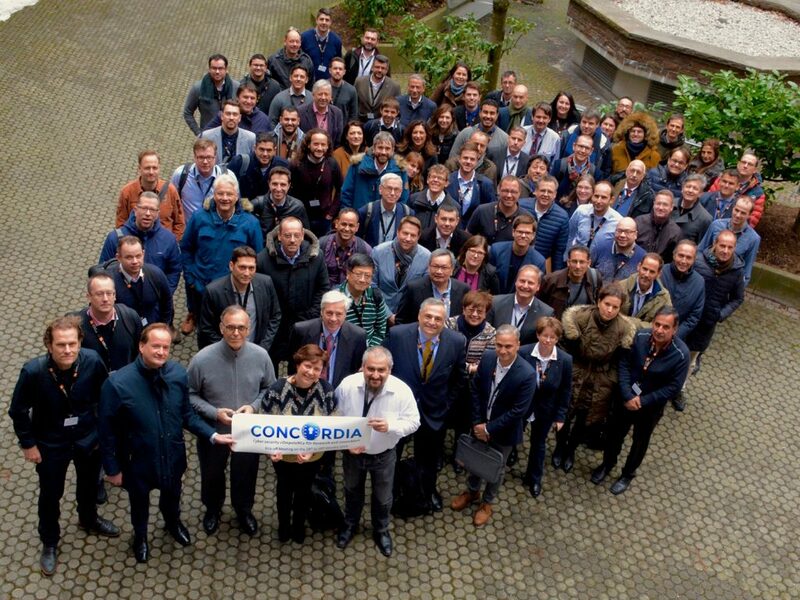 A dedicated EU-wide consortium involving prominent industry, academia, SMEs and especially national cyber security centers launches the H2020 project CONCORDIA (Cyber Security Competence for Research and Innovation). CONCORDIA will pilot an EU Cybersecurity Competence Network to provide technological, societal and policy leadership for Europe. CONCORDIA aims to implement a common Cybersecurity Research & Innovation Roadmap for Europe. CONCORDIA is a four-year multi-disciplinary research and innovation project, and will play a leadership role in boosting the effectiveness of EU’s security union. The project, started in January 2019, is coordinated by the Research Institute CODE from the Bundeswehr University Munich and involves 46 partners in total. “With CONCORDIA we are integrating cybersecurity competences to enhance Europe’s digital sovereignty”, said Prof. Gabi Dreo (who received her Bachelor’s degree at the Faculty of Electrical Engineering and Computer Science at the University of Maribor), executive director of CODE. The consortium includes 23 partners from industry and other organizations, and 23 partners from academia. CONCORDIA will help Europe strengthen its security capabilities and to secure its digital society, economy and the fundamental data society’s principles for both security and privacy. CONCORDIA adopts an inclusive approach, fostering a wide alliance spanning Europe’s research, industry and public sectors, and including key professionals from a variety of fields. By developing innovative, marketable solutions to protect Europe against cyber attacks, CONCORDIA will capitalize on Europe’s unique pool of skills and talents in the area of ICT and cybersecurity to also establish an European Education Ecosystem for Cybersecurity. The project will be a fundamental instrument for promoting excellent research, market innovation, skill building, and a research roadmap for cybersecurity in Europe. In this context, the vision of CONCORDIA is to create a community, building bridges and setting the foundations for strong cooperation between all stakeholders. The EU budget contribution is 16 M€ with a 7 M€ additional funding contributed by national authorities and industry.